These are the Wormwoods. The squatting one is Hastur, the older one, the other slightly larger gentleman, is Azrael, the younger one. They come from a long line of weird looking, occultly named family, the Wormwoods. Now they are back to where once their family supposedly started, Moonlight Falls. They are back, and actually, no one doesn’t even know who they are, why they are there and if they are to be trusted. What the siblings do know is that is up to them to restore their once prestigious family reputation. 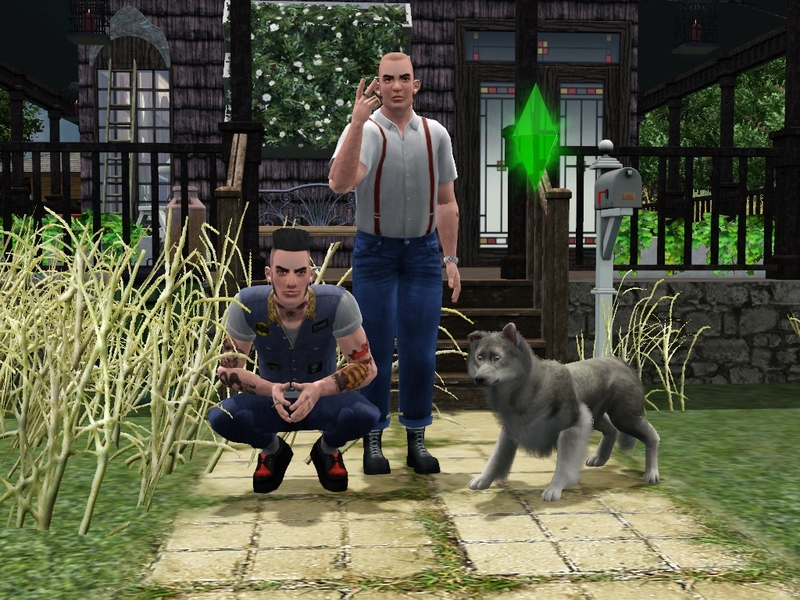 This is going to be my personal The Sims 3 legacy and my own CC blog. Fun, fun, fun.